The Force makes up the very fabric of the Star Wars universe while seemingly not being something present in the Star Trek Universe. This makes it likely that the Force would not be with the Federation, or something which the Federation would be able to utilize, but would be with/utilized by the Rebels during battle. The Rebel Alliance has Force users included among their ranks and also have the force guiding them and enabling them. Jedi knights historically fight on the Rebel's side. 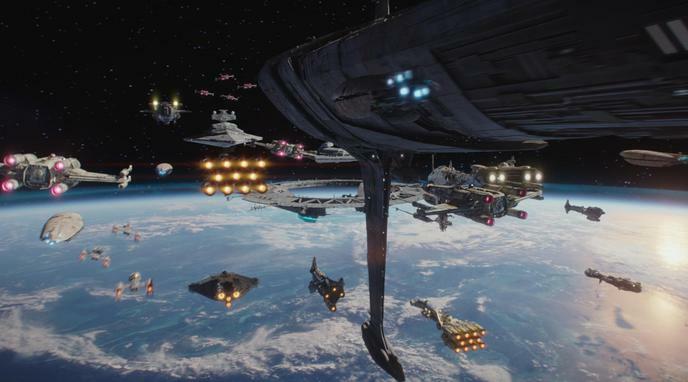 Their use and control of the force is fully unmatched on the Federation side, adding a clear advantage to the Rebels. The Rebel Alliance may count among their ranks one or more Jedi knights. Any UFP ship would not stand a chance if one of these "one-man-army" managed to sneak inside it. statement by Darth Vader that "the ability to destroy a planet is insignificant next to the power of the Force" could be seen as support for the idea that the Rebels would beat the Federation, even if the Federation's technology is superior. The vast majority of rebels are not Force sensitive. The Rebel Alliance needed a bailout from Obi-Wan to keep Luke from misfiring his proton torpedos to destroy the Death Star (Episode IV), which makes the Force look like a joke. There are few force-sensitive individuals in the rebellion, and they're completely nullified by the large damage radius of wide beam phaser settings, and targeted, pinpoint orbital striking. The Force is useful only to those born with an abnormally high concentration of Mido-Chlorians which are some type of measurable bacteria or cell in the body. The Federation being a highly scientific organization with a very large medical community could come up with a way to negate the effects of the Mido-Chlorians. If the Federation are not a part of the Force, then it is highly debatable that the Force would have much effect or even be able to effect them at all, or be able to influence the battle in any meaningful way. Except they have been shown to lose, for example at Hoth, and how they took heavy casualties at Scarrif. Additionally the Jedi were essentially wiped out by non Force users in Episodes II and III. Clearly even when the Force with you, you can lose. The Force isn't necessarily reliable, for example because one can imagine situations in which simply no individual capable of utilizing the Force is present in a battle. telepaths and empaths. Abilities not dissimilar to the force are not an unknown to them.